This large grouse is split into two separate species; the Sooty Grouse of the Sierra Nevada and Pacific Coast Ranges and the Dusky Grouse of the Rocky Mountains. 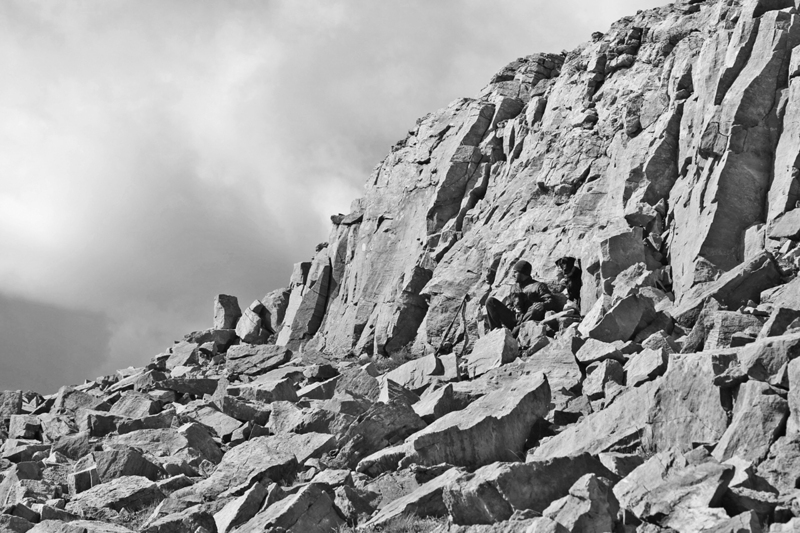 Adults have a long tale that is gray at the end. 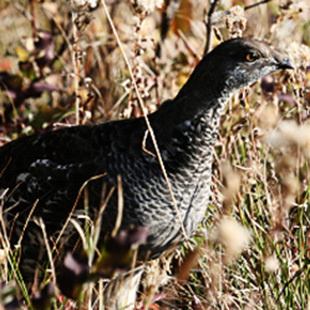 Males will be dark in color (the Sooty Grouse will be especially so). The Sooty Grouse will have a yellow throat sac and wattle while the Dusky Grouse will have a purplish throat sac and a yellow to red colored wattle over the eye during display. 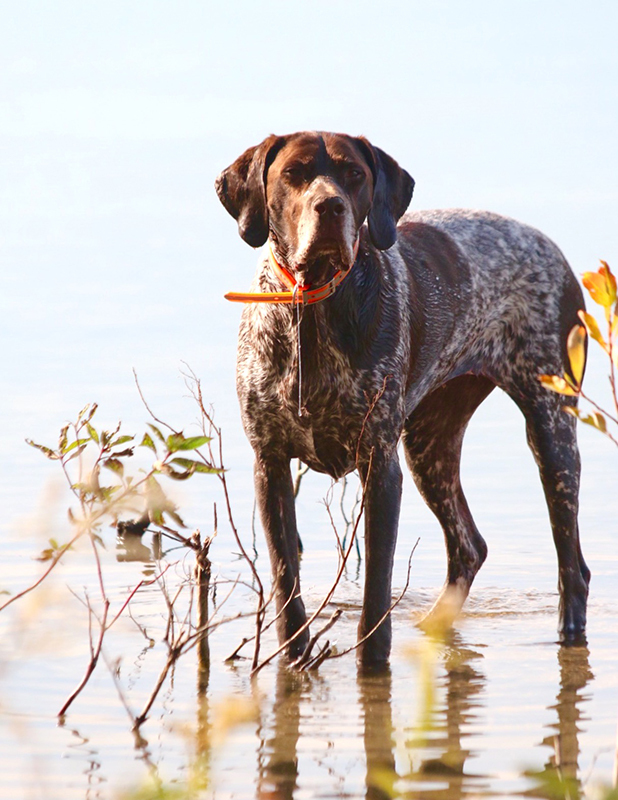 Females will be mottled brown. This a fairly large bird, between 12 to 15 inches in length or about the size of a medium weight chicken. 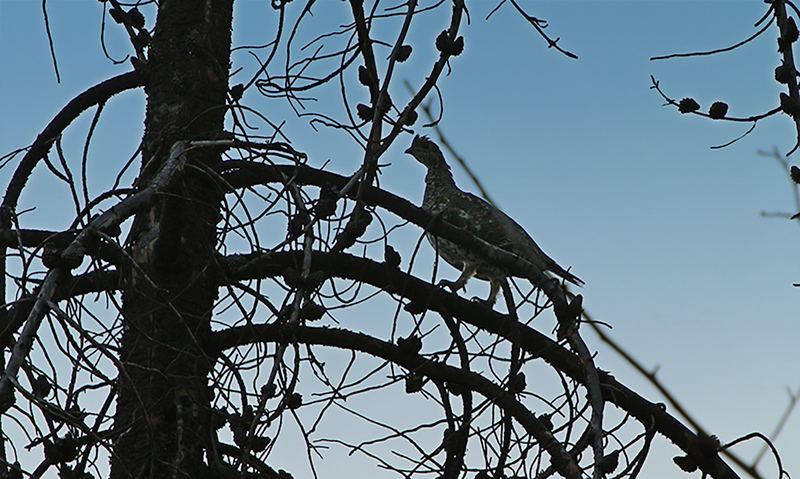 During summer and fall the Blue Grouse enjoy the highland meadows at the edges of confer and mixed forests where they can be concealed under shrubs or a log. As winter approaches, this bird will move upslope to eat conifer needles and roost under the snow. These birds begin their day foraging a couple of hours after the sun rises with later morning hours being the optimal time to spot them, so there’s no need to set the alarm clock too early. 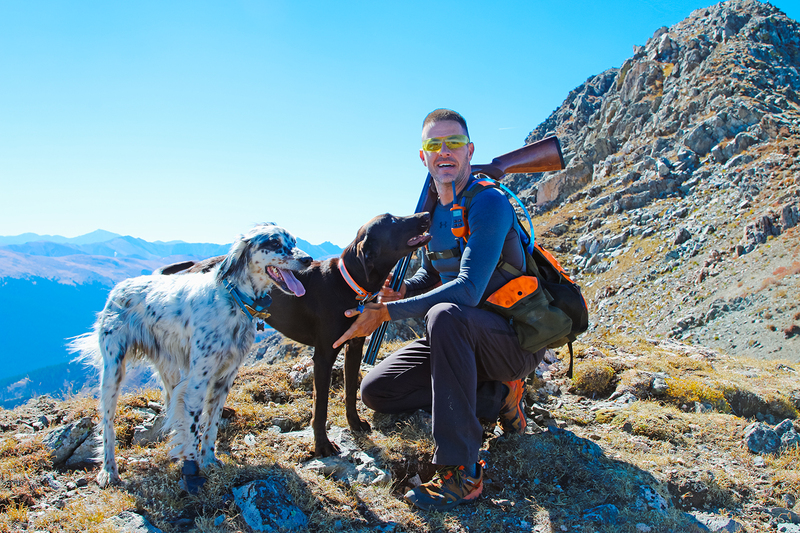 A good hunting dog who can point is ideal to take along, giving the hunter enough time to spot and take aim at his prey. Easily spooked, this bird may fly in a zigzag pattern through the trees once flushed or may fly to a nearby branch and remain stock still and blend with it’s surroundings. As a master of camouflage, the Blue Grouse may be surprisingly easy to pass by. However, once taken, the Blue Grouse makes great table fair.